Supposed to be the ultimate weapon…! …without a GPS satellite “lock” how can this thing know coordinates ? !!! …without it’s camera [EYE] how can it find its target…? !!! OBVIOUSLY a mere “playing toy” of childish adults…! Do not ask(e) me how to aim this thing with precision and no GPS or open camera…!? Cameras with “eyelids” both to skies, and land…! Radar view of stars for night flight…! PLUS altimeter and sonar to make a sound or radar terrain view = “flying bat = murcielago”…! 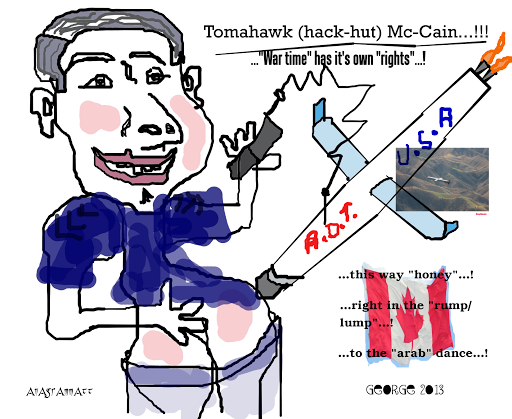 IN OTHER WORDS, FULLY “ELECTRONICALLY TEMPERED PROTECTED”, and with a program to hit or alternates, without “retrieval” or change, as an aircraft “BOMB”…! 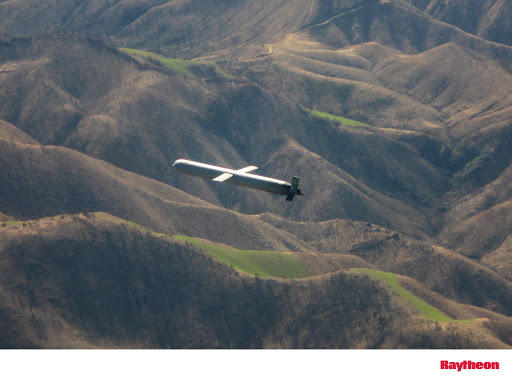 THIS “RAYTHEON TOMAHAWK” is a technological toy folks…! I hope they make a variant EXOCET style to go, water level (1m – above waves) into a destroyer ship or AIRCRAFT CARRIER…! ← …debunking christianity…! Lataster…! No Jesus = No God = No Gods…!